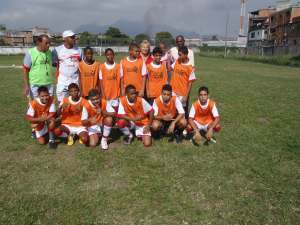 Youth who participate in the program must attend school and the principal of the school has reported that the most successful students are those who are in the Projeto Talentos. The project also provides nutrition for these young people who often have nothing at home. 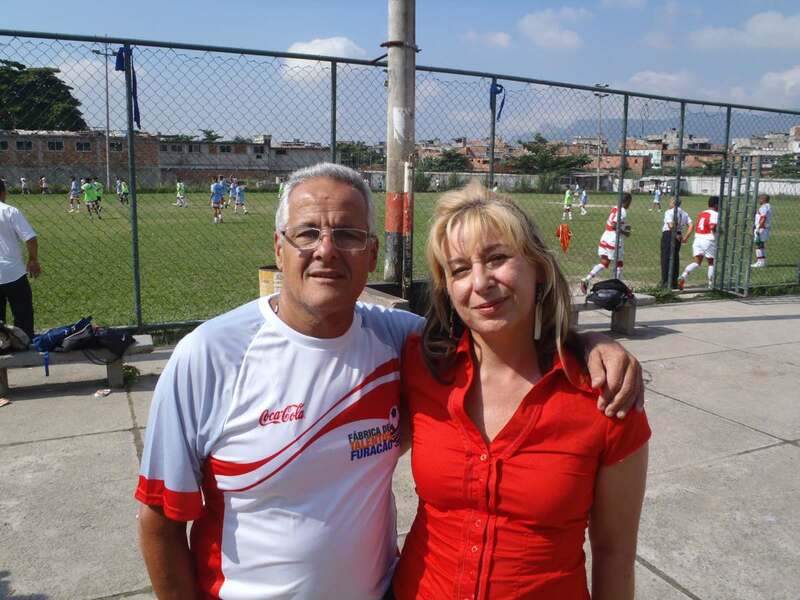 Jair explains that Coca Cola has provided the soccer uniforms but when it comes to paying the coaches and assistants, he and Jorge Eiras often dig into their own pockets. When I ask about the participation of girls in the project he says that yes there are a few girls, but that foottball is unfortunately prejudiced in that area. Perhaps by including art and culture in the program there will be more integration. 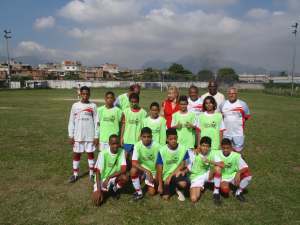 Jairzinho explained that the aim of the project is to save lives and not just the lives of children from the favela. Many of the people involved in it are ex football players who, after retiring from the game, lost almost everything. Through Projeto Talento they can find pleasure to live again by teaching and inspiring hundreds of kidshow to be strong and to live with honour. And it is clear from the reaction of the youth, just how much respect they have for this man and the work that he is doing. We describe the concept of 'Crescer com Arte' and our special interest in community investment in the care and beautification of public space. 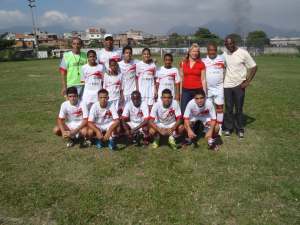 Next to the football field is a community building where meetings and celebrations are held. This rudimentary space would be the location for the Projeto Crescer com Arte and the focus of our work. As we speak together some boys, curious about our English/Portuguese conversation, gather around to try out some words in English. 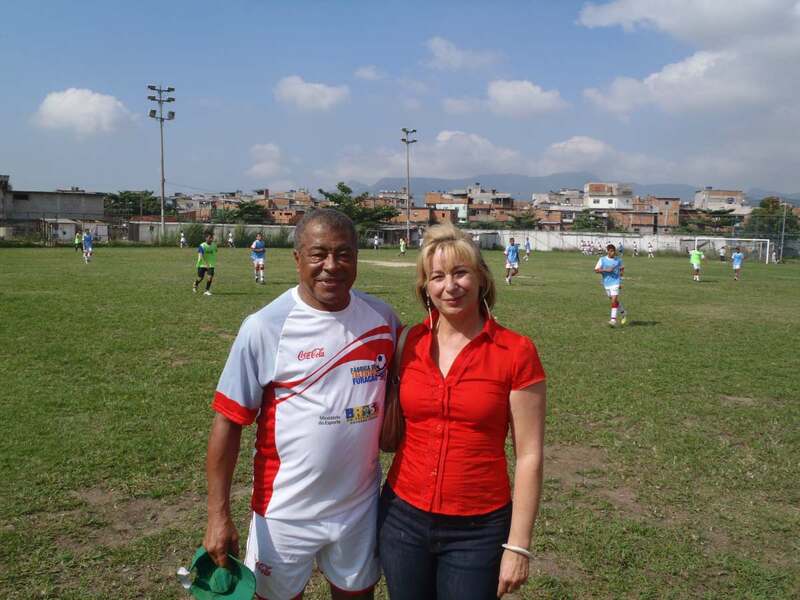 Jairzinho is not just a man of words, he is also a man of action. After sharing ideas with us he immediately called the President of the Community Association to arrange a meeting for Tuesday morning. This is the day that I leave Brazil and so I will bring my suitcases and go directly to the airport from Manguinhos favela.